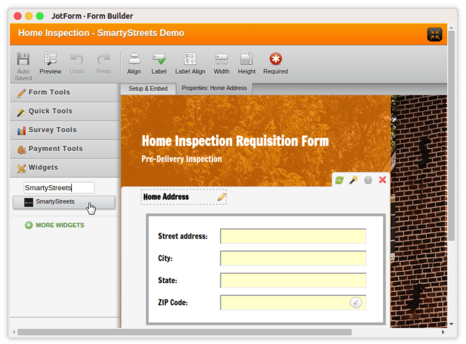 SmartyStreets® is a premier address verification service which is trusted by fortune 500 companies to check and verify the validity of address locations among other services. 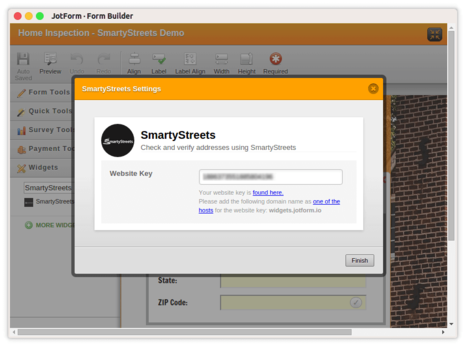 With the JotForm SmartyStreets® widget, you can leverage the same powerful feature on your form. By adding this widget, a complete address field is added to your form, which will automatically check and verify the validity of all the addresses entered by your users. 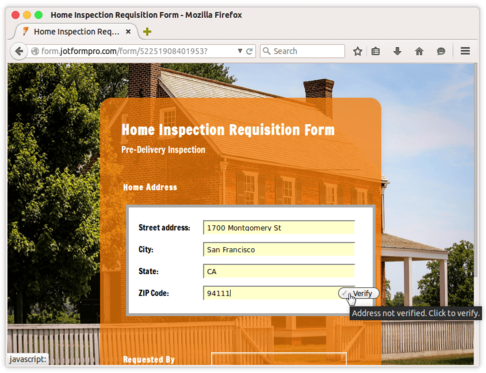 You will need a SmartyStreets® account and a website key to successfully verify addresses.